I began studying Korean four weeks ago by optimistically learning the sentence: “Please speak Korean very slowly.” After putting in this time, one thing has become abundantly clear. As a result, I have learned a new sentence. This new sentence will be instrumental during my trip to Korea this fall. Here is my new sentence: “I am very sorry; I do not speak Korean.” After saying this, any Korean words I manage to cough up will be impressive. Last week, I told someone at work that I was studying Korean. Now, keep in mind that for the prior three weeks I had been devoting a minimum of 30 minutes each night, often longer, studying Korean. She said to me, “Say something in Korean.” I paused for a moment and reached back deep into the recesses of my mind, trying to find the perfect word or phrase. Then I said, “I can’t think of anything.” And this was true. I drew a blank. I couldn’t think of a single thing to say. 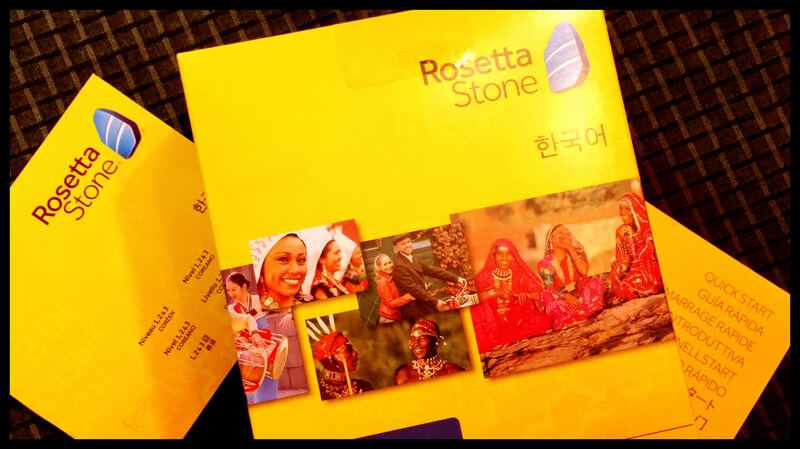 I am sure there’s a method to the madness of Rosetta Stone, and I’m in it to the end. However, so far I’ve learned a lot about cats and dogs. I’ve learned how to say the basic colors, including the word for black. However, when I told my wife the word for black, she told me, yeah, that’s one word for it, but everybody uses a different word. So that was a little irritating. I told her that I was going to be loyal to Rosetta Stone and use their word. She shrugged. I’ve also learned a lot about, for some reason, eggs.